Mr. Savvy and I both love cooking, but even though it’s just the 2 of us, neither of us can make a meal just for 2 to save our lives. But, I’m okay with that because then we have plenty of leftovers for nights we don’t feel like cooking instead of wasting money on takeout. So, what’s the problem? I swear there is an evil food container monster out there that steals all the lids to our storage containers – and sometimes even the containers themselves! Okay, so that may be a bit far fetched, but seriously, it feels like I can never find a matching container and lid when I need it. I love that the entire container is clear so you can easily see what’s inside. Luckily, for the past couple of weeks, I’ve had the opportunity to try out Dixie Quicktakes and I have to say, I’m quite impressed. My favorite: the lids are attached to the container so you don’t have to worry about losing them and can stop wasting time looking for a matching lid! Since the lids are attached to the container, they do take up a good chunk of space in the dishwasher, but honestly, to me it’s totally worth it! When Mr. Savvy and I moved a few months ago, one of the first things that we noticed we seemed to not have that many of any more were plastic food containers. Now, we are just a family of 2 people and our furbabies. When we lived in our last residence, we probably purchased a couple sets of 20 or so plastic containers. Where in the heck did they end up over the past 2 years?! Sure, Mr. Savvy may have lost some taking them to work and guests not returning them when taking home leftovers…but how is it possible to lose so many lids and containers to where you can’t find a matching set when you go to look for it?? I’m not alone in this, right? I enjoy that there are 2 great sizes perfect for snacks. 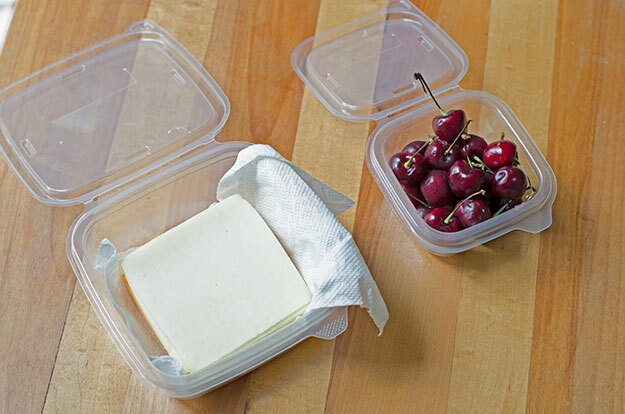 For our fellow friends and readers who waste a ton of time looking for matching lids for containers for leftovers, snacks and more, I offer you Dixie Quicktakes as a super smart solution. We’ve been using them for the past couple of weeks and I have to say I’m a huge fan so far. Now, these aren’t the most durable containers, but that’s because they’re made to be that way so that it’s not a huge loss if they get lost, forgotten, fall on the ground or unreturned. Plus at just under $11 for a pack of 25 Dixie Quicktakes on Amazon, how can you say no? Oh, and did I mention that the lids are attached to the container? Yeah, that’s hands down my favorite part because I hate spending several minutes of my evening trying to find a matching lid and container when putting away the dinner leftovers. When we eat the leftovers, I can also just toss the container into the dishwasher. It does take up more space, but I’m all about saving time and frustration, so it’s entirely worth it for me. Are Dixie Quicktakes a Smart and Savvy Choice? I give these a big thumbs up, and would give them a toes up too if I could! Are you ready to stop losing your lid? Head on over to Amazon and check out how many other people are loving Quicktakes! I’ll be able to open my cabinets without 100 miss-matched lids and containers falling out! I especially like that Dixie Quick Takes are BPA-free and recyclable! I didn’t know about Dixie Quicktakes until now. This is great. 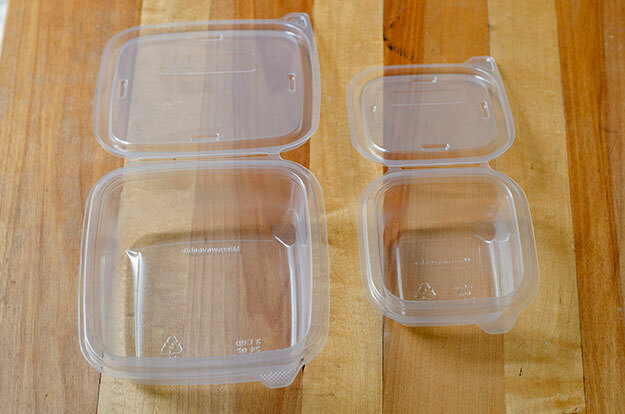 Every time I clean the kitchen and have to put up the leftovers – I spend a long time looking for lids to go to the containers. This would be so much more convenient, not to mention, its great that they are reasonably priced.